A freed killer who went on to murder a second victim should not have been downgraded to "medium risk" before his release, an inquest has heard. Ian Birley and accomplice Helen Nichols stabbed 65-year-old John Gogarty 69 times at his home in Wombwell, South Yorkshire, in July 2015. Birley had been released from prison 18 months earlier after serving time for murdering another pensioner in 1995. An expert told the inquest his risk level should have remained as "high". 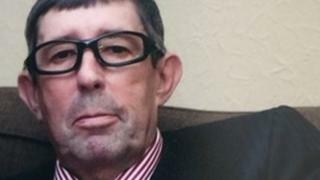 Mary Pilgrim, former head of the MAPPA (multi-agency public protection arrangements) team, told the hearing in Sheffield she had reviewed the case, including the decision to reduce Birley's status from "high risk of serious harm to the public" 18 days before he was released, in December 2013. Ms Pilgrim, who is now head of public protection for London, said: "In my professional assessment, I would not have reduced him prior to release from 'high' down to 'medium'." Coroner Chris Dorries asked Ms Pilgrim whether she thought Birley should have been recalled to prison after he received two warnings about breaching his licence conditions within six months of his release. Ms Pilgrim said: "Recall is around professional judgment. For me, I would have recalled." However, she stressed to the court that she would have wanted further information from police and other agencies before making a final decision. Ms Pilgrim said that MAPPA processes were not followed by agencies following Birley's release. The inquest has heard how Birley and and his partner Nichols broke into Mr Gogarty's home and demanded his Pin code before carrying out the brutal attack. They took £500 from his bank account to service a drug debt Birley had run up. Birley was given a whole-life term in December 2015 for Mr Gogarty's murder, while Nichols was jailed for a minimum of 20 years.